It was during his experience in the military that Mr. Shabazz was introduced to Islam by fellow Muslim comrades. Police Officer Abdul Khaaliq Shabazz, age 47, was born and raised in the city of Detroit. He was educated in the Detroit Public School system and graduated from Cass Technical High School in 1982. After high school, in July 1982, he enlisted in the U.S. Marine Corps serving in Hawaii; Norfolk, VA; and Camp Pendleton, CA before being honorably discharged as a Sergeant in 1990. Upon returning to Detroit, Mr. Shabazz worked several jobs, including the U.S. Postal Service before finally being accepted to the Detroit Police Department after a 3 year wait in 1993. Mr. Shabazz’s first assignment after the police academy was the 2nd Precinct (Schaefer) assigned to patrol duties. Other assignments included Harbormaster (Belle Isle), Gang Squad, and special operations as an accident investigator Southwest District, before being assigned to the Traffic Enforcement Unit. 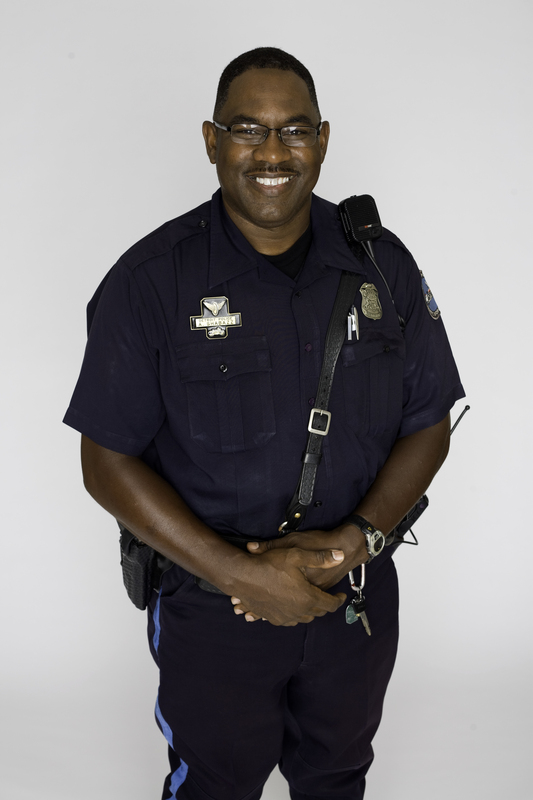 His many duties as a traffic enforcement officer, more commonly known as a motorman, are not only enforcing local traffic laws and drunk driving enforcement, which in turn helps prevent fatal automobile accidents, but he also received specialized training in advanced accident training, taking courses at Oakland Community College and Michigan State University. He is also trained as a motorcycle officer with DPD and part of his responsibility is escorting dignitaries (i.e. presidential motorcade), parades, and funeral escorts, to name a few. Mr. Shabazz is a divorced father of two teenaged daughters: Zainab and Mecca. He has one surviving parent, mother, Flora Hazzard, and brother Marc Hazzard of San Diego, CA.